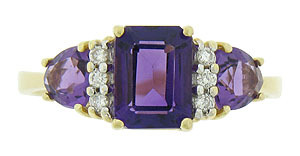 This heavenly estate ring features both emerald cut and heart shaped amethyst. 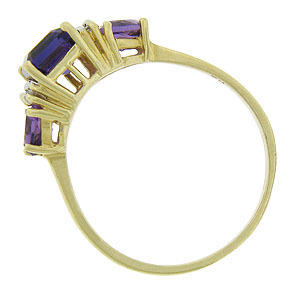 Trios of fine faceted diamonds stretch between the rich violet hued stones. 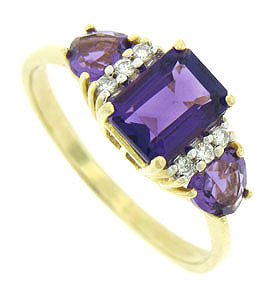 Fashioned of 14K yellow gold, the ring measures 8.31 mm in width. Circa: 1950. Size 9 3/4. We can re-size.